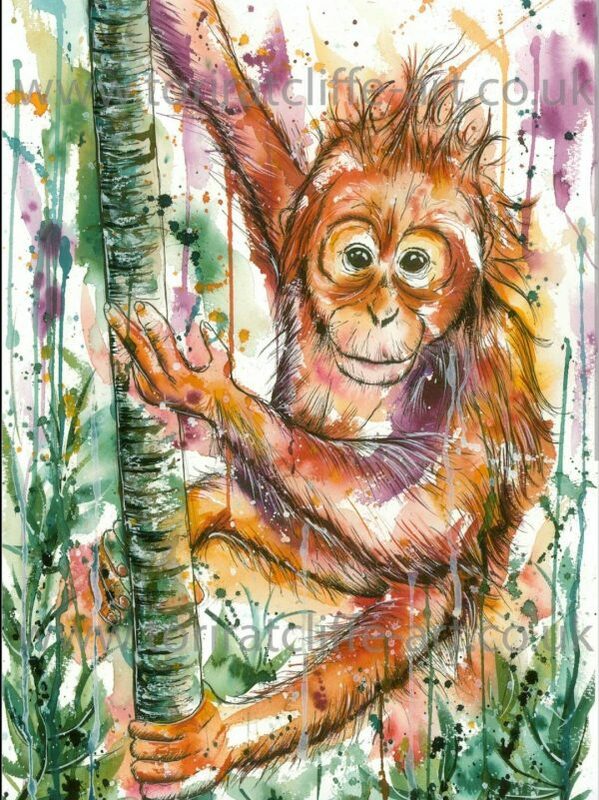 This print features a baby orangutan resting in the trees. 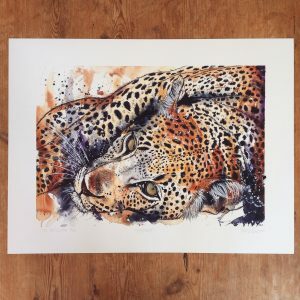 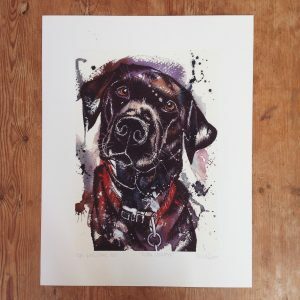 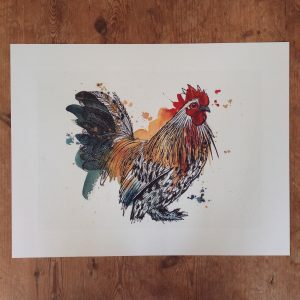 With a keen interest in the natural world and an understanding of the need to protect it, 50% of the sale of this print will be donated to Sumatran Orangutan Society (SOS) to help protect orangutans and the habitats they live in. 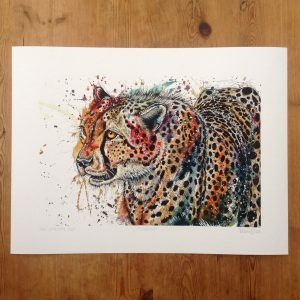 All prints come individually signed and wrapped in tissue paper for protection.